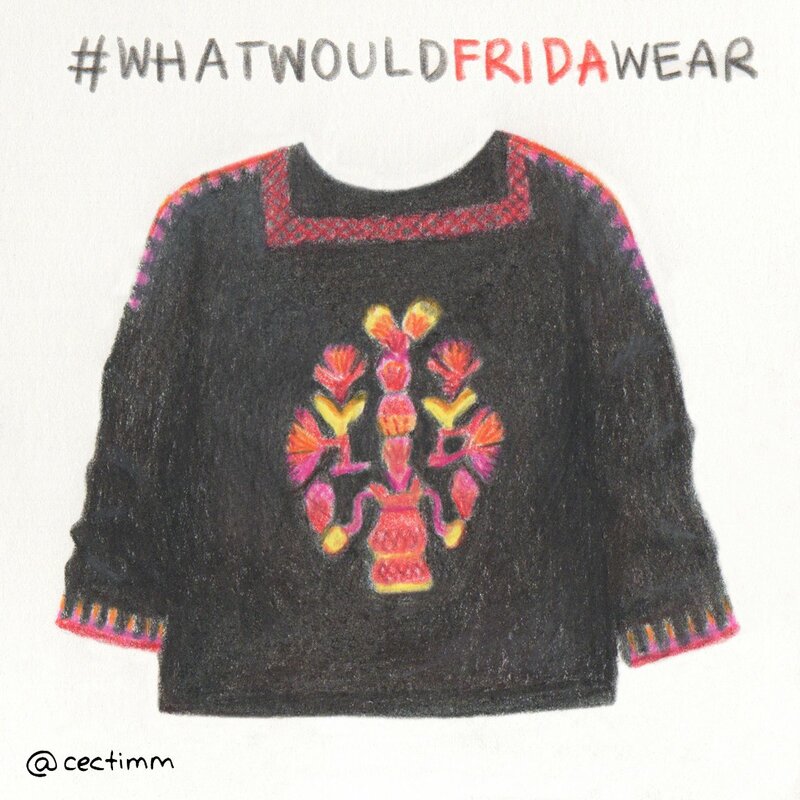 We often see Frida dressed in summery clothing but I’m sure at times she felt a chill and had to wear something a bit warmer. This long sleeve top looks like it could be found now in Tree of Life. 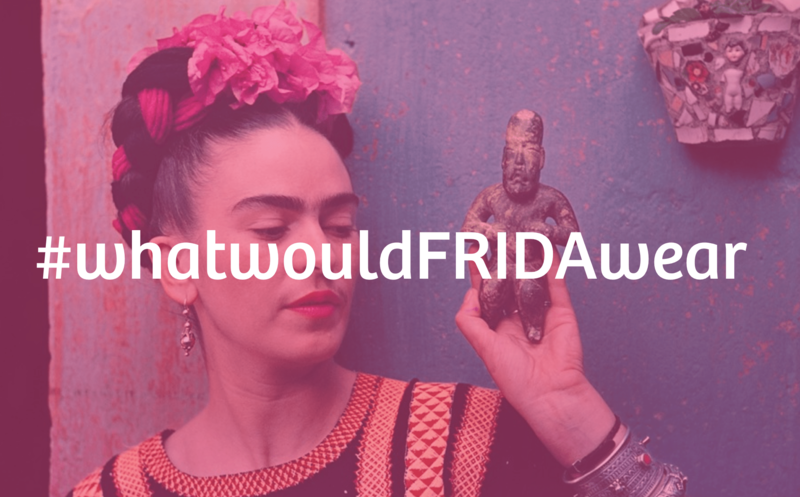 Crochet is a huge theme in traditional Mexican clothing and features prominently in Frida’s wardrobe ♥ I have no idea if Frida embellished her own clothing but either way, she had a lot of access to a lot of beautiful crocheted pieces.